Huge Wig Sale April 9-21/12 Over 120 Gorgeous Wigs in Stock. We carry Raquel Welch, Eva Gabor, Jon Renau, Noriko and Relvon. There is something here for everyone whether it be for fun or medical reasons. The Boutique is a private area for your comfort and convenience. 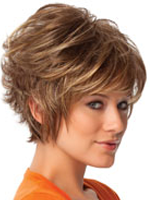 10 % OFF Regular and Sale Wigs. Buy 2 and get 15% OFF!